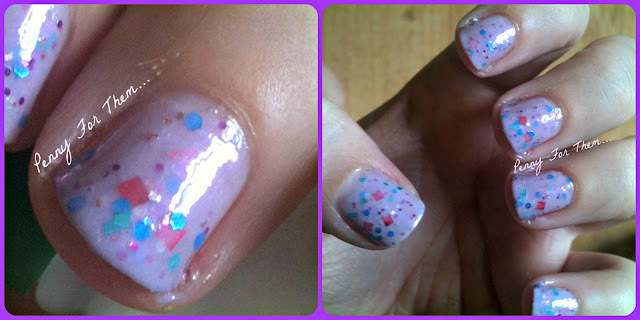 NOTD: Girly Bits "Mother May I?!" 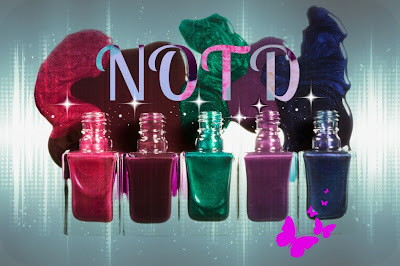 Another first - i don't think I've reviewed a Girly Bits polish here! I have a few but this one called to me today! "Mother May I?!" is a light purple creamy polish with different shapes and sizes of glitter. For the mani i used Nails Inc Hyde Park Basecoat, 3 coats of polish and one coat of Gelous Top Coat. I found the best way to apply was 3 thin/just medium coats - so the brush should hold a good coating but not about to drip off the end! I checked how much glitter was on the brush each time i took it out, and if there wasn't much, i dipped in again, and generally, more came out easily! 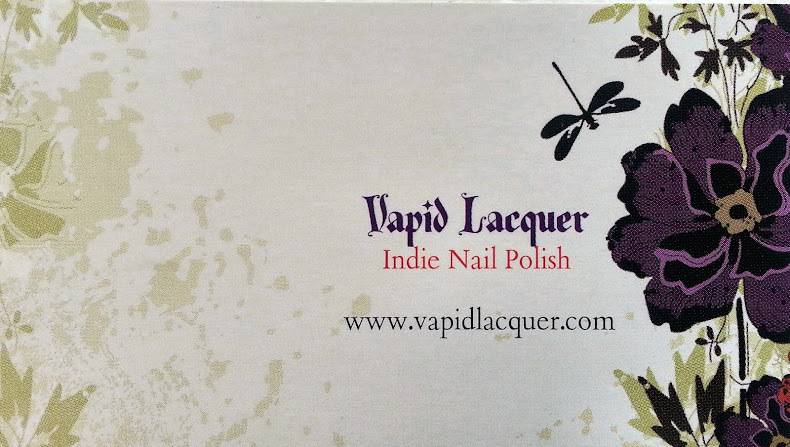 No quick drying time, so no worries of snagging polish already on the nail when adding some more to the same coat. 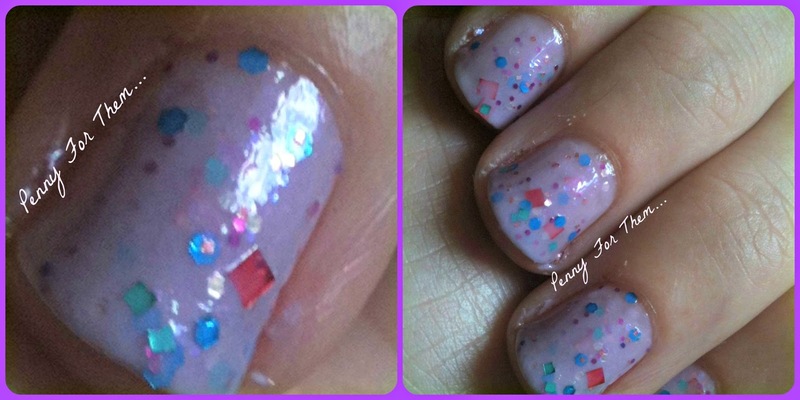 Glitter is there but doesn't over power it - a good combination of lilac and about 10 pieces of glitter on each nail. I probably made the mistake of doing something too soon (i nipped to the shops!) and it wrecked 3 of my nails, so i ended up removing it all! It was about 15- 20 mins after the top coat was applied, so its kind of a normal drying time of roughly half an hour - longer if you can, as obviously it would get help the polish stay put! My very first close up shot and I'm pretty impressed with the quality considering it was a free app and its not only a zoom but has picture editing on it (which i haven't tried as i mainly just wanted a zoom!!). I think its caught the polish as it actually looks. so many polishes you cant get the true appearance but this one showed as it looks IRL! This was one of my lemmings after seeing swatches of it on Google, and I'm pleased it lives up to those pictures. Its no secret i love purples and glitter, and this is a perfect one for Summer -with it being a lilac and not the usual deep dark purple i normally adore! 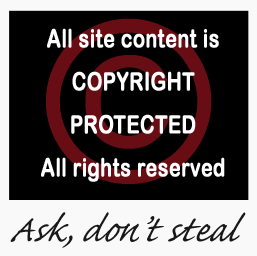 Is it staying? Oh yeah...!